Tue Sep 18’s Q&A with directors Ricki Stern and Annie Sundberg will be moderated by Ross Kauffman. Forty-five years after it revolutionized abortion law in America, the landmark 1973 US Supreme Court case Roe v. Wade is once again at a crossroads. 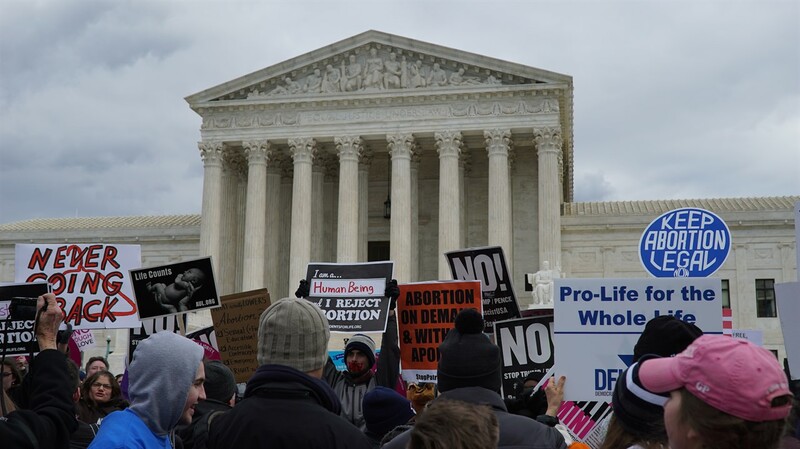 In their timely new documentary REVERSING ROE, filmmakers Ricki Stern and Annie Sundberg (THE DEVIL CAME ON HORSEBACK, MARATHON: THE PATRIOT’S DAY BOMBING) present a deeply illuminating look of the state of abortion and women’s rights in America. The film offers candid and riveting interviews with key figures from both sides of the divide, among them doctors Colleen McNicholas and Curtis Boyd; feminist icon Gloria Steinem; Operation Rescue president Troy Newman; and National Right to Life president Carol Tobias. Intense and unflinching in its commitment to telling the whole story, REVERSING ROE provides a gripping look at what’s happening on the ground in 2018. Drawing from a wealth of historical footage, it charts the period leading up to the Roe decision—and documents the opposition that has followed ever since.